Day-long workshops offering kids in grades 3-12 the opportunity to learn introductory robotics skills with expert guidance. Designed for children with little or no prior robotics experience. 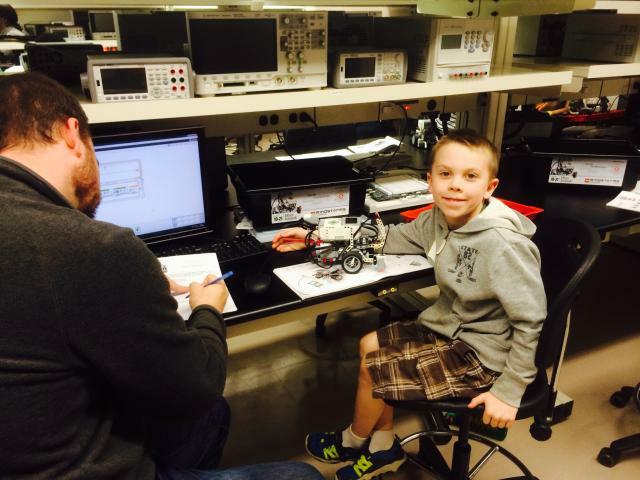 Participants will design, build and program robot creations using LEGO MindStorms building kits and customized software in small, multi-instructor staffed, age-appropriate classes. Advance registration is required and a parent or responsible adult is required to attend with each child. As classes are by age, families with multiple children of different ages will require multiple attending adults.